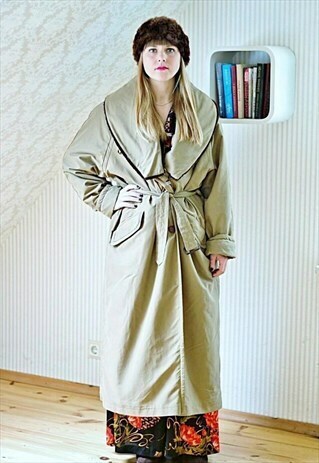 Gorgeous vintage light khaki double breasted long belted coat. Has a padded lining. Model is a UK 8 and 5"4. Length of the coat is 51 inches, chest 25 inches, sleeve length 27 inches. Please note this is a vintage item so minor signs of wear are expected.